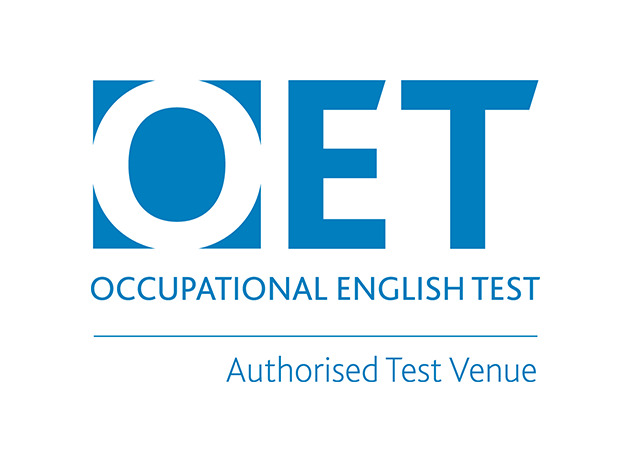 OET is a well-reputed international English language test for the healthcare sector. OET assesses the language communication skills of healthcare professionals who seek to register and practise in an English-speaking environment. Testing once a month, OET covers all four language skills (writing, reading, listening, speaking) with an emphasis on communication in a healthcare environment. Tests reflect real workplace tasks and relevant language skills, and have been developed specifically for up to 12 different healthcare professions: Dentistry, Dietetics, Medicine, Nursing, Occupational Therapy, Optometry, Pharmacy, Physiotherapy, Podiatry, Radiography, Speech Pathology and Veterinary Science. Established in the late 1980s under contract to the Australian Federal Government, OET continues to remain relevant through continuous research and validation. Since 2013 OET has been owned by Cambridge Boxhill Language Assessment. The test is recognised and trusted by healthcare boards and councils in Australia, New Zealand and Singapore.